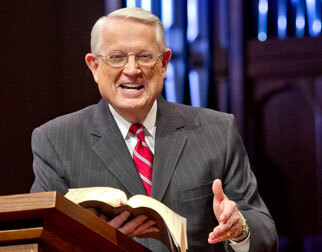 Listen to Chuck Swindoll’s overview of Ezekiel in his audio message from the Classic series God’s Masterwork. The book of Ezekiel takes its title from the priest of the same name, son to a man named Buzi. 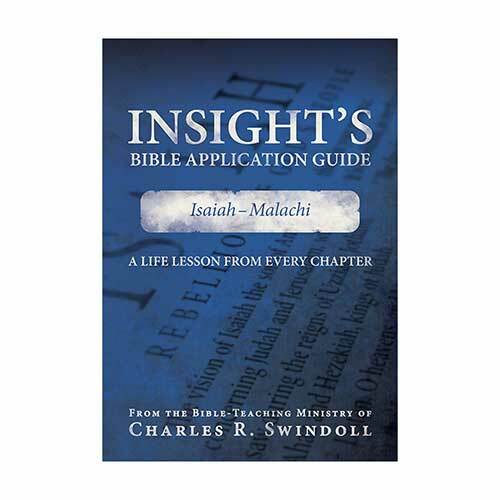 Ezekiel’s priestly lineage shines through in his prophetic ministry; he often concerned himself with topics such as the temple, the priesthood, the glory of the Lord, and the sacrificial system. Ezekiel 1:1 tells us that the prophecy began “in the thirtieth year.” Scholars usually consider this a reference to Ezekiel’s age, making him about the same age as Daniel, who was exiled to Babylon nearly a decade earlier. Like many priests of Israel, Ezekiel was married. But when his wife died during his prophetic ministry, God prevented Ezekiel from mourning her in public as a sign of Judah’s lack of concern for the things of God (Ezekiel 24:16–24). Ezekiel lived among the Jewish exiles in Babylon at a settlement along the river Chebar called Tel-abib (Ezekiel 3:15), less than one hundred miles south of Babylon. The invading Babylonians brought about ten thousand Jews to the village in 597 BC, including Ezekiel and the last king of Judah, Jehoiachin (2 Kings 24:8–14). Ezekiel’s prophecy began a mere five years into his time at Tel-abib (Ezekiel 1:2), and he continued to prophesy among the people for at least twenty-two years (29:17). 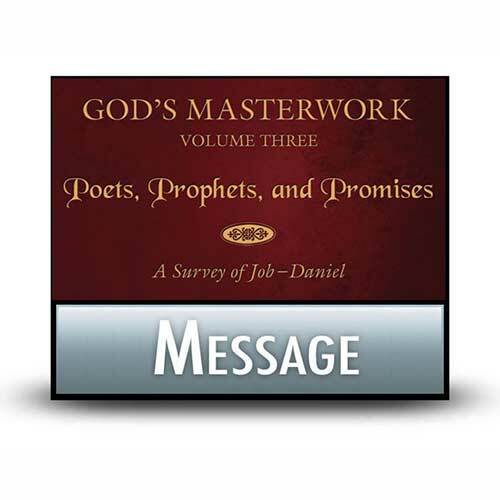 Because he spoke to a people whom God had exiled due to their continued rebellion against Him, a majority of Ezekiel’s message communicates judgment for sins committed (1:1–32:32). However, like all the prophets, he also provided his people, now without a land of their own, some hope for the future (33:1–48:35). Why is Ezekiel so important? The book of Ezekiel pronounces judgment on both Israel and surrounding nations, but it also provides a vision of the future millennial kingdom that complements and adds to the vision of other Old and New Testament texts. 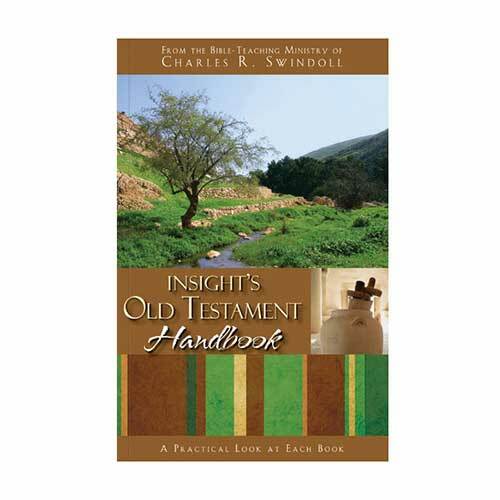 Not only does the book present a striking picture of the resurrection and restoration of God’s people (Ezekiel 37), it also offers readers a picture of the reconstructed temple in Jerusalem, complete with the return of God’s glory to His dwelling place (40:1–48:35). This latter section of Ezekiel’s prophecy looks forward to the people’s worship after Christ’s return in the end times, when He will rule Israel and the nations from His throne in Jerusalem during His thousand year reign. God didn’t exile the Israelites primarily to punish them. God never has been nor is He now interested in punishment for punishment’s sake. Rather, He intended the punishment or judgment in Ezekiel’s day as a means to an end—to bring His people to a state of repentance and humility before the one true God. They had lived for so long in sin and rebellion, confident in their own strength and that of the neighboring nations, that they needed God to remind them of His holy nature and their humble identity in a most dramatic way. After centuries of warnings, prophetic messages, and invasions, God decided that more significant action was required—He had to remove the people from their promised land. Ezekiel’s entire prophetic ministry centered around the small exiled community at Tel-abib, a people uprooted from their homes and livelihoods living out their days in a foreign land. Can you imagine the feelings of disorientation and confusion that accompanied these people? Even though many of the exiles were directly engaged in the sinful behavior that led to God’s judgment, that would not prevent them from wondering why all this was happening to them. We sometimes find ourselves in that predicament as well, asking “Why, Lord?” and waiting in silence for the answer. 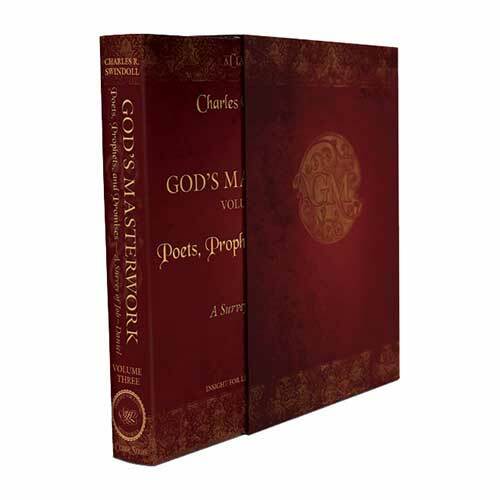 The exiles had to wait five years for God to send Ezekiel, and when God did, His prophet had a message that the people likely didn’t want to hear: God is the Lord of heaven and earth, and the judgment the people were experiencing was a result of their own sin. The book of Ezekiel reminds us to seek out the Lord in those dark times when we feel lost, to examine our own lives, and to align ourselves with the one true God. Will you consider doing so today? 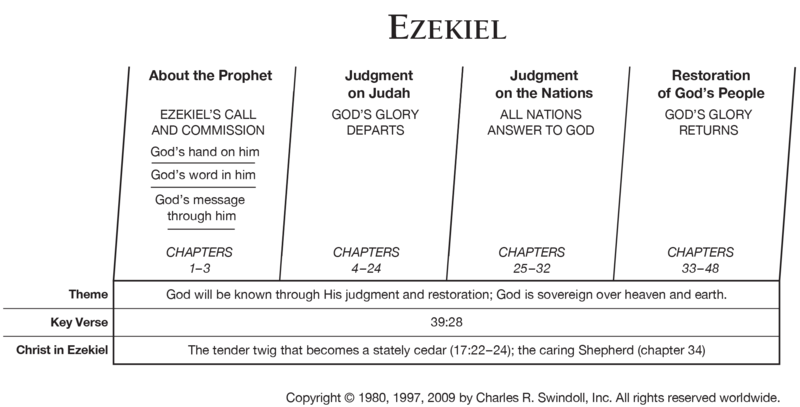 View Chuck Swindoll's chart of Ezekiel, which divides the book into major sections and highlights themes and key verses. 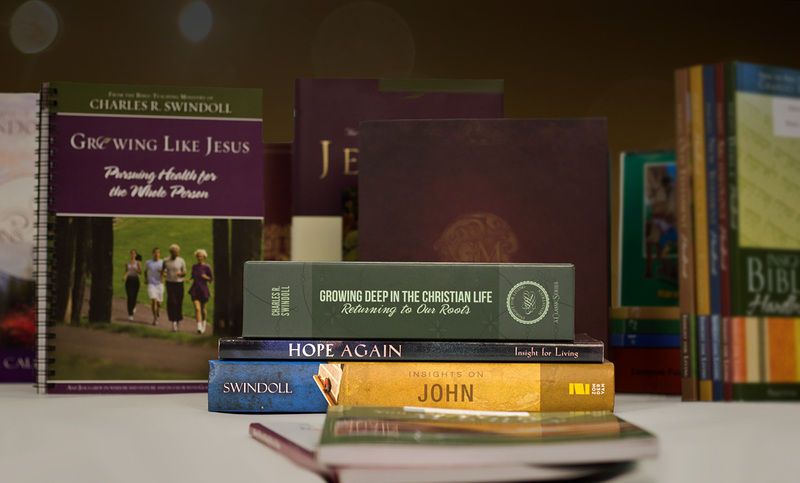 Discover more resources related to Ezekiel.